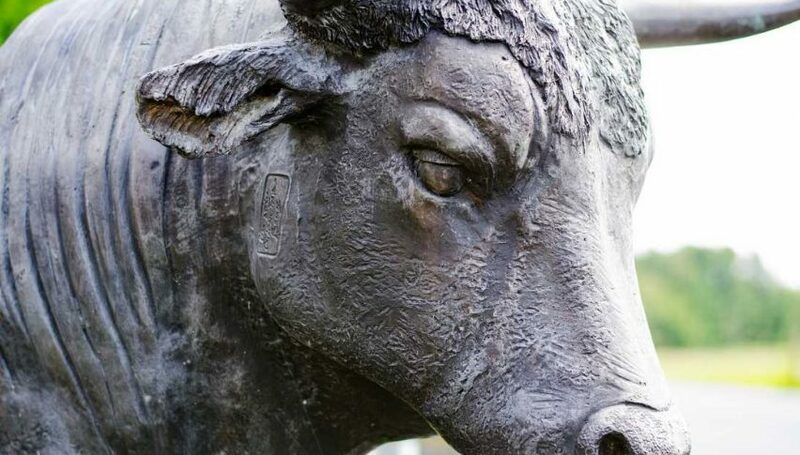 The Bulls Are In Control Following Today's Wall Street Open. Following a tumultuous Friday and Monday, U.S. equities are back on the bull. For the first half-hour since the cash open, the DJIA (+238), S&P 500 SPX (+28), and NASDAQ (+97) are trending higher. The price action is a bit curious as talk of recession continues to dominate mainstream financial headlines. It appears investors are pricing in the implications of the Mueller Report, albeit a day late. It is becoming a theme, but the U.S. real estate market continues to lag. Year-over-year home value projections remain strong, but peripheral metrics consistently disappoint expectations. Conversely, the Redbook Index has come in above the previous release, suggesting that conditions facing American retailers continue to improve. 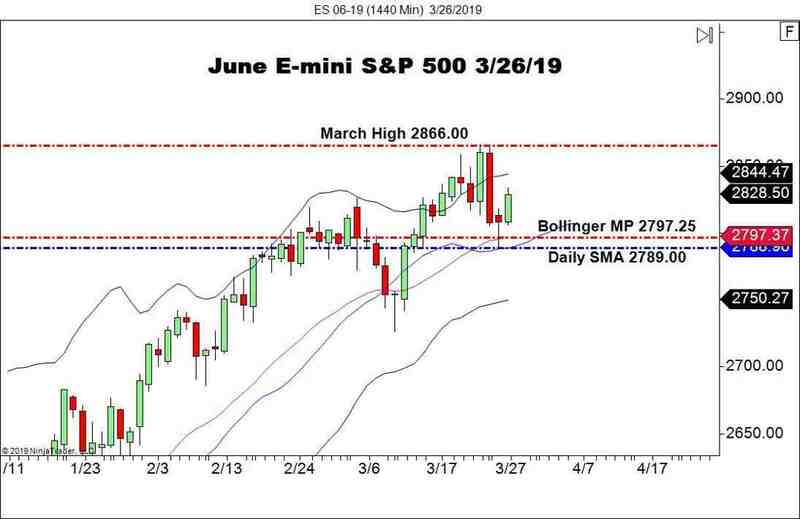 The June E-mini S&P 500 has broken out to the bull, regaining some of the losses of the past two sessions. Prices are back above 2825.00 and are on the rally. Overview: It appears as though U.S. stocks are ready to close March on a high note. Today’s action in the June Emini S&P 500 backs up this assertion. Price has rallied from daily downside support and monthly highs are in view. If U.S. Q4 GDP comes in positive on Thursday, then the U.S. indices may be pushing monthly highs as March draws to a close.